PADI eLearning Passes for cheap? Anybody see this in the Sport Diver magazine? 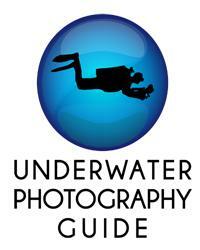 http://www.peterdemulder.com/index_flash.cfm Check out this guy’s underwater photos! Pretty amazing. The site takes a while to load due to the high res of the images. Interesting, I do like the shots - they are original but I think if he were "experienced" as indicated - he would keep the models from standing on the coral. From WarmWaterTurner: Interesting, I do like the shots - they are original but I think if he were "experienced" as indicated - he would keep the models from standing on the coral. Yeah, I agree. That was the first thing I noticed and have to say it slightly annoyed me, but love how interesting they are. without expanding to much on the already said, i think the pics are awesome for something hardly, if ever done. The models need to eat more, puke less. Wow, those are really neat. Creative!! I’m not a diver and even I know that you’re not supposed to touch things underwater. Oh yeah! And it’s nice to know that guys don’t always go for the super, rail thin ladies.. Don’t worry Greg.. I won’t diet so that I don’t look like that. Rocky Road Ice Cream All Around!! LOL.. I would like to know what camera was used myself, as this it what I’m looking for when it comes to underwater photos, crisp, and clear. I know part of it is lighting. It is ashame he did not do more to protect the reef.